Lawrence Gunther, President of Blue Fish Canada, recently presented at the 2016 Living Water Rally organized by the Fresh Water Alliance. The presentation outlines how public aquariums and the angling community have joined forces in aquatic research and the training of future aquatic stewards. The presentation was extremely well received with a number of future partnerships now in the works. An estimated 45 billion fish are caught by recreational anglers annually around the world – 2/3 are released back into the environment. Approx. 100-million metric tons of fish are commercially harvested annually worldwide. Roughly 2.7-trillion individual fish are harvested commercially around the world each year. Join Lawrence Gunther, President of Blue Fish Canada and Host of the Blue Fish Radio show, as he visits aquariums throughout North America. This unique initiative goes behind the super-think glass and the thousands of gallons of water playing host to all manner of aquatic species. A behind-the-scene exploration of spaces and people doing amazing things to empower the future stewards of the world. The Aquariums of North America feature showcases the mega-sized public displays that cost millions to build and require maintenance crews using SCUBA to clean. Aquariums that do more than entertain guests, in that they strive to recreate aquatic ecosystems in their full glory. North America’s aquariums are making significant investments so people can both witness and experience the mysterious underwater world that we can only imagine when looking down from the decks of ships or bridges. A world that is surprisingly more diverse than that which we live in above water, and far, far larger in size. And a world that is in need of and deserving of protection. Many of the more famous public aquariums in North America have been around for decades and yet don’t seem to be losing their public appeal. In fact, new aquariums are springing up everywhere as for-profit businesses. We at Blue Fish Canada wanted to find out what keeps these aquariums relevant and why interest in such exhibits is growing. Surely, the variety of underwater documentaries and TV specials that Jacques Cousteau first made popular offer more than ample film footage to satisfy most people’s curiosity. So what is it that has people turning off their TV’s and tablets and visiting aquariums in ever-increasing numbers? In researching and planning the Aquariums of North America special, we were acutely aware of the debate surrounding the welfare of some animals, particularly cetaceans, in captivity. With so many opinions already floating around on this topic, we wanted to take a different approach. The aquariums Lawrence is visiting focus first-and-foremost on educating the public. Their methodologies include simple displays with information plaques, live presentations and video, and hands-on interactive displays intended to go beyond observation by providing a more multi-sensory experience. Other secondary program offerings often include behind-the-scenes tours, overnight experiences, meet-and-greets with leading scientists, participation in feeding sessions, excursions on boats, and the opportunity to volunteer or apprentice. 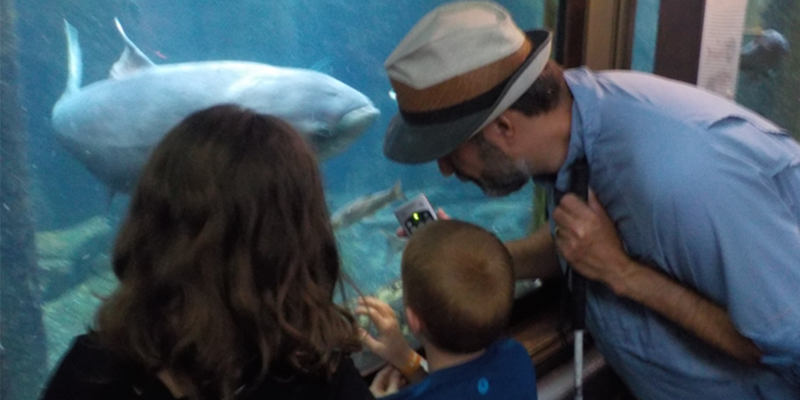 The internet as a means of following up with support for past visitors interested in learning and doing more is also becoming a key component of most aquarium visits. 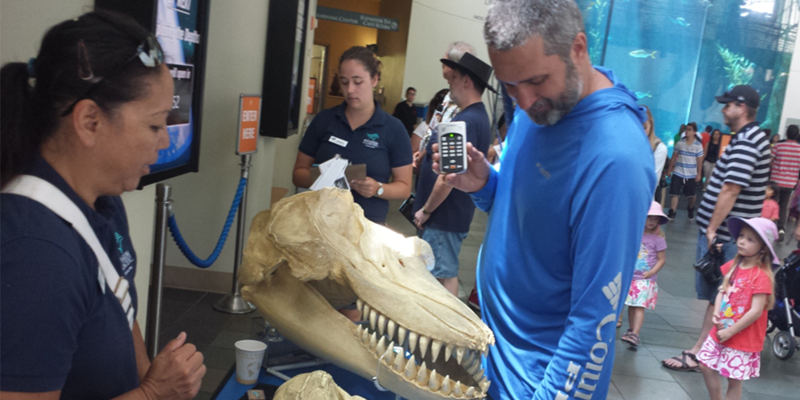 Some might argue that the very popular interactive exhibits exploit animals and other life forms, and these exhibits, along with the other secondary programs, are solely intended to give a bump to the numbers of people passing through their turnstiles. But if this is the case, then one also need ask, why? For the most part, these aquariums are not-for-profit organizations. As a person without sight, Lawrence is one of the first to attest to the value of interactive exhibits. Simply pressing your nose up against the think glass of an aquarium leaves everyone feeling somewhat unfulfilled. The need to maintain our connection with nature can only be established and maintained when all the human senses are engaged–not just the sense of sight. Like babies, everyone has a deep-seeded need to explore the world with ones hands, mouths, ears, noses, and eyes. It’s how one establishes a real connection with the object being investigated. The aquariums Lawrence visits get this, and are leaders in the world in offering the public multi-sensory, four-dimension, full immersion (both figuratively and literally), emotionally engaging experiences. Lawrence has already visited close to a dozen aquariums throughout Canada and the United States, and the number continues to grow. While there is some overlap in the sorts of educational displays offered by different aquariums, their ample differences made it easy to focus his attention on unique subjects relevant to each aquarium’s geographic location. What he learned may both surprise and impress you. Links to live Blue Fish Radio recordings of Lawrence’s visits and interviews with aquarium staff can be found on www.bluefishradio.com and iTunes. There’s no shortage of interesting topics covered: habitat protection and conservation, volunteer programs, environmental sustainability, field research and observation, rescue and rehabilitation, education and awareness, stakeholder engagement, heartbreak and success, and so much more. Each Blue Fish Radio Aquariums of North America episode is engaging, different, informative, loaded with surprises, and fun. Included is an interview with an expert from the Association of Zoos and Aquariums (AZA) during which Lawrence and his guest discuss the evolution of aquariums, the Association’s accreditation role, and what the future holds in store. Please join Lawrence on this journey of discovery and illumination. You won’t be disappointed. As someone who sees the world through his ears, Lawrence has a pretty good idea of what makes for good radio. 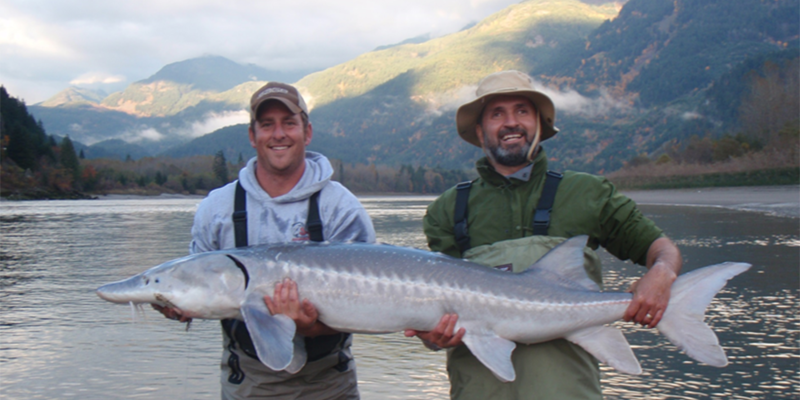 Once again Lawrence Gunther, President of Blue Fish Canada, has been selected to present at the Canadian Freshwater Alliance’s Living Waters Rally (September 28-30 2016, Vancouver). The topic of Lawrence’s presentation will be the role research aquariums are playing in recruiting new water stewards and their strong connection to fishing. This is the third Rally in a row Blue Fish Canada has had an active role in supporting the Canadian Freshwater Alliance in delivering. During the 2013 Living Waters Rally Lawrence Gunther presented on the connection anglers and fishers have with water and fish, and their commitment to ensure this connection continues for many future generations. This past weekend, 110 delegates of Living Waters Rally 2014—representing recreational, indigenous, cottage association, faith, philanthropic, environmental, business, academic, and arts and culture groups from across Canada—came together to discuss the future of Canada’s freshwaters. The people of Canada deserve to know the health of their home waters and that many are increasingly at risk and need to be able to know which ones are healthy. We need regular, independent public assessment of and reporting on the health of our waters. During the spring 2016 outdoor show season, Blue Fish Canada exhibited for a total of nine days. Thanks to Canadian National Sportsman Show management for generously donating exhibit spaces. Blue Fish Canada gave away over 5,000 shoreline clean-up kits, Fishing stewardship guides and personalized brailled autograph cards to visitors at our boot. People donating $5 or higher, had their names entered into a draw to win a $250 Shimano fishing rod and reel outfit. Over $400 in donations were collected. One of Blue Fish Canada’s youngest and hardest working volunteers, Lilly Euteneier, drew the winners name on June 1, 2016. The winner is Chris Walcott. Thanks to all those who dropped by the booth to say high and who generously donated funds to support Blue Fish Canada to empower the next generation of fish stewards. Big thanks too, to all those who gave their time to help staff our booths. Organized instructive fishing experience for 48 Ottawa Girl Guides and provided conservation presentation. Volunteers included 12 anglers from the Ottawa Valley South Bassmasters and five Girl Guide leaders. Tackle, prizes and worms were donated by Sail Outdoors. Shoreline clean-up kits and Stewardship brochures were distributed. Organized in partnership with the Ottawa River Keeper and Oziles Marina. Volunteers included eight local anglers and five ORK staff. CBC radio joined us on board for the first session, and CTV Morning news for the second day. Fished for 24-hours straight. There were six segments – each lasting about 4 hours. The goal was to catch and release as many different species of fish as possible within city limits in the Ottawa River. BFC teamed up with three coders from Ottawa University to prepare a phone app that would assist anglers and researchers to track fish health. 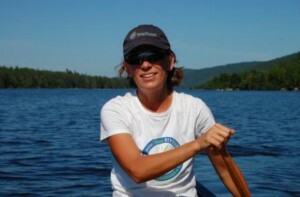 The app was entered into the Aquahacking event organized by Ottawa River Keeper. A total of 80 hours were donated by the four developers to build the app at no cost. A new website www.bluefishcanada.ca was developed and launched in June 2015. Organized the Anglers’ Village involving five area fishing clubs with Blue Fish Canada as the central exhibiter. The 20’x40’ space was donated. Volunteers included four volunteers that staffed the Blue Fish booth, (Jason Cox, Scott Campbell, Lilly Euteneier, Lawrence Gunther), and another 35 volunteers involved with staffing the club tables that made up the Village. Provided one seminar on stage. The Ottawa Sun paper and the Renegade Bass Radio show provided media coverage. Organized a rod-reel prize for visitors who made donations to BFC. Stewardship brochures, clean-up kits and autograph cards were distributed to the over 22,000 show visitors. Exhibited at the Show over five days. Arrived in Toronto two days prior to the show start date to set up the 20’x50’ exhibit space generously provided by Show organizers at no cost. Volunteers included three individuals (Scott Campbell, Gary Morissy, and Lawrence Gunther). Spoke on stage on five occasions (five days) for 25 minutes each time about fish stewardship. Distributed clean-up kits, stewardship materials and autograph cards. Continued the rod-reel prize for visitors who made donations. Media coverage included featured coverage by show organizers in their media materials. Blue Fish Radio has produced a series of 20 Blue Fish Canada Stewardship Tips for radio that are 2-minutes in length. The tips are being incorporated into programming by the “Urban Angle” and Blue Fish Radio podcasts, and are being used by WRVO Outdoor Radio as PSA’s. In the spring of 2016 Blue Fish Canada participated in River Keeper training offered by the Upper St. Lawrence River Keeper with the support of the St. Lawrence River Institute for Environmental Science. Blue Fish Radio was granted permission to record and broadcast the training over the Blue Fish Radio Show on iTunes and Spreaker.com. 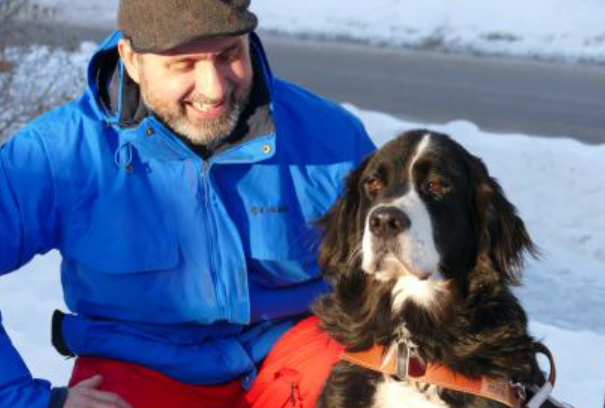 Blue Fish Canada recently produced 14 Feel the Bite TV interstitials for Accessible Media TV. 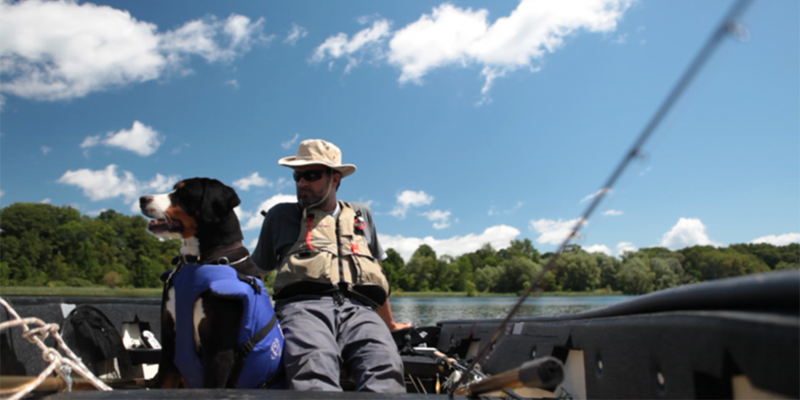 Each interstitial includes Lawrence Gunther, his guide dog Moby, and special guests on the water talking about fish, their biology and habitat, and environmental pressures that are impacting their viability. Each 3-minute episode includes a stewardship tip. The interstitials are now available for viewing on the “Feel the Bite” YouTube channel. The 24 hour fish-a-thon organized in partnership between Blue Fish Canada and the Ottawa River Keeper went as smooth as could be expected. Weather was calm, water conditions were stable, media showed up on schedule, volunteers all contributed as promised, and no one got hurt. About the only thing that could have been better was the fishing (LOL). In spite of that, we still managed to capture and release 12 species of fish from the Ottawa River within the boundaries of the city of Ottawa over a 24-hour period from a single boat. John Anderson from the Ottawa River Musky Factory and Hallie Cotnum from CBC Ottawa Radio jumped on board my Ranger Fisherman 620 along with my right hand for this project, Jason Cox. My guide dog Moby was also with me throughout. Lots of room for all. We started with a blast up the river that completely reconfigured Hallie’s hair for radio, and then began casting large Muskie plugs. Four rods, four baits, eight treble hooks, and 24 hook points, but in spite of our raising three fish and one actual bite, no fish in the boat. Tons of fun though, and Hallie gave stellar coverage including an 8-minute edited radio piece she recorded on the boat. This second segment had Rob Jackson from RJ and Birdy Outdoors aboard for a session of Gar hunting. It’s truly a visual sport in that you first need to spot these torpedoes in the shallows and then present specially modified baits within inches of the Gar’s face. We had a ton of fun stocking these predators from the bow of the Ranger and some success as well with the largest caught measuring about 35 inches. The Ottawa River Keeper camera boat was following us, but I don’t think they had it easy given the stump fields RJ had us threading in pursuit of these shallow water fish. This afternoon segment was intended to be the easiest in that we were to pursue panfish (e.g. Sunfish, Crappy, Bluegill, etc.). Our featured guests included Yvonne Brown from Fishing 101 for Women, Meredith Brown the official Ottawa River Keeper, Meredith’s son Charlie, the President of the Ottawa Fishing Club David Mingie, and another three folks from Ottawa River Keeper. Two boats, nine fishing rods, perfectly calm sunny weather, and we could not buy a bite. I had a Perch on with my first cast, and that was it for us all. The lesson in Segment Three was fishing is no guarantee of actually catching. Yanick Loranger of Ottawa River Guided Fishing came aboard to see about putting us on some Walleye and catfish. Successful on all counts, including more Perch and first appearances by a Sauger and several other panfish species. We didn’t venture far from Oziles Marina for this as there are boating hazards in the area, and we didn’t want to take the chance of a night time rescue. I found funny the total dependency Yanick and Jason have for light. They really struggled in the moonless black-out conditions in spite of the ever-constant anchor light at the stern. For me this midnight to first light segment was the most difficult. I could not sit down without slipping into sleep. Having started the day before quite early already, the segment signified my going 24 hours without sleep. Joining Jason, Moby and I on the boat for this portion were two fine local brothers who are well regarded as top-shelf anglers – Anthony and Andrew. Our goal was Bass and Pike or anything else that lurks in the dark. Turns out our experience with the panfish earlier the day before was to continue. Finally though, after the four of us casted all manner of baits continuously for five hours, we managed to boat a couple decent Smallmouth Bass just as the sun was breaking over the horizon. Mission accomplished! Our expert angler for this final segment was Nigel Touhey, well known and respected tournament angler. Also joining us aboard the Ranger was Sarah Freemark from CTV Morning television along with her videographer. Prior to shoving off from the Oziles doc, Nigel took me aside to say that he had been scouting the water the day prior and was worried about the fish not cooperating. Yup, new all about this little issue already. But, Nigel came through, found us a stretch of main Ottawa River channel that was about 25-feet in depth, and most importantly, held fish that bit. Bass, Perch, Rock Bass, Sunfish and Bluegill all made their way aboard the boat on the end of Sarah and my lines. Between catching fish, we broadcast seven live TV segments for a total of 16 minutes of coverage. A great way to end the fish-a-thon. All were released alive and well. Ottawa – June 2015: Blue Fish Canada in partnership with Ottawa Riverkeeper has organized a 24-hour fish-a-thon to take place June 25-26 on the Ottawa River to showcase the tremendous variety of fish species (over 85) that call the river home. 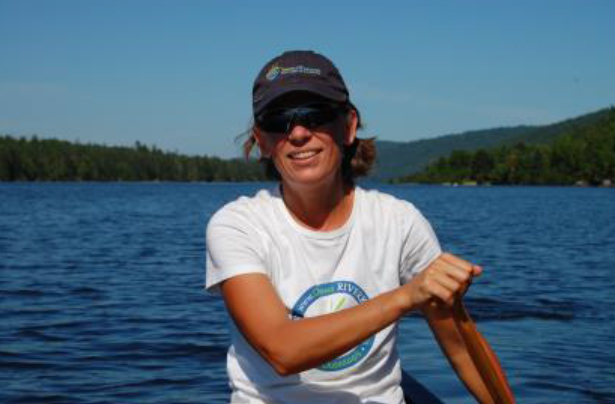 “It’s our intention to raise public awareness of the incredible diversity of the Ottawa River’s rich aquatic ecosystem that exists right at our doorstep,” states Meredith Brown, Riverkeeper and Executive Director of Ottawa Riverkeeper. Special guests will be joining Lawrence Gunther to catch and release fish species including: Northern Pike, Muskellunge, Walleye, Large and Small Mouth Bass, Catfish, Drumb, Carp, Gar, Perch and all manner of panfish. Members of the media are invited to join Lawrence or observe the action directly from a second media boat. Live updates will be published in real-time on Facebook (Ottawa.riverkeeper, Lawrence Gunther), Instagram and Twitter (@ottriverkeeper and lawrencegunther). Lawrence and his guests will be fishing aboard a 20-foot multi species fishing boat provided by Orleans Boat World and Sports. The event will be staged out of Ozile’s Marina located at 1009 Trim Road Orleans (Ottawa), and will begin at 8am on Thursday June 25th and end on Friday 8am June 26th. A Q&A session with Media is scheduled for Friday June 26th from 8AM to 10AM at Ozile’s Marina. Toronto, ON – Two volunteers from Blue Fish Canada traveled to Toronto to take part in the People in Motion Show over two days at the end of May. Show management generously donated a 20×20 space and arranged for media coverage. In addition to distributing stewardship guides and shoreline clean-up kits, two 30-minute presentations were given on stage by Lawrence Gunther on the importance of fish and how they can change our lives. Toronto’s City TV also interviewed Lawrence which aired on the 6: p.m. news on Friday evening for 2.5 minutes. Volunteers slept in the camper in the Toronto Exhibition Place parking lot.